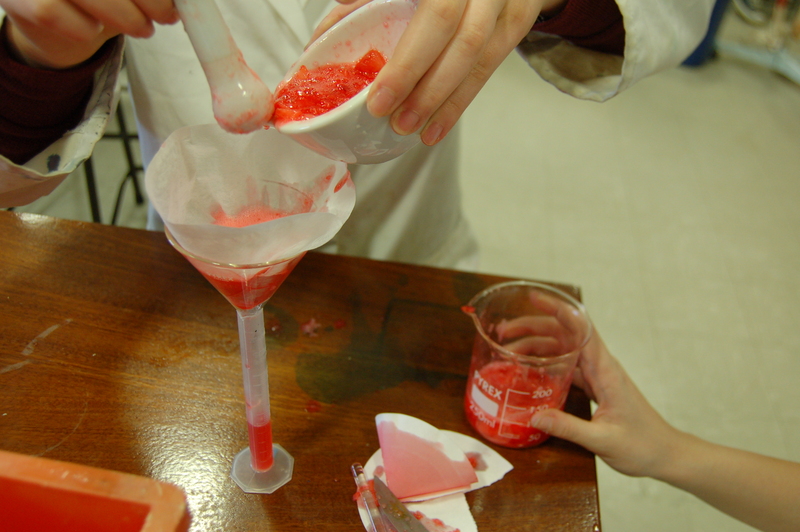 I forget who gave me the idea (I’m afraid I can’t claim it as my own), but if you’re currently extracting DNA from onions with fairy liquid (as my poor, weeping Year 12s used to do), then I’d recommend switching to strawberries and coconut shampoo as I did this year. Smells delicious, looks spectacular (a little like you’ve liquidised a hamster), and produces prodigious quantities of what they’re happy to accept is DNA (though, truth to tell, most of the white goop is almost certainly pectin). But onions (cheaper), strawberries (make sure you use coffee filter papers – the goop is too thick to go through standard lab filter paper) or frozen peas (frozen peas, along with onions, are the recommended vegetable of choice for the NCBE), there are ways of telling this story. I saw a teacher recently end the Year 12 Nucleic Acids topic with the DNA extraction exercise, reflecting their belief that practical work is a “just a bit of fun”, tagged on at the end if you’ve got time after the serious business of delivering immaculate notes and diagrams. By then, however, the end product comes as something of an anti-climax because they already know all about it. So what’s the point? 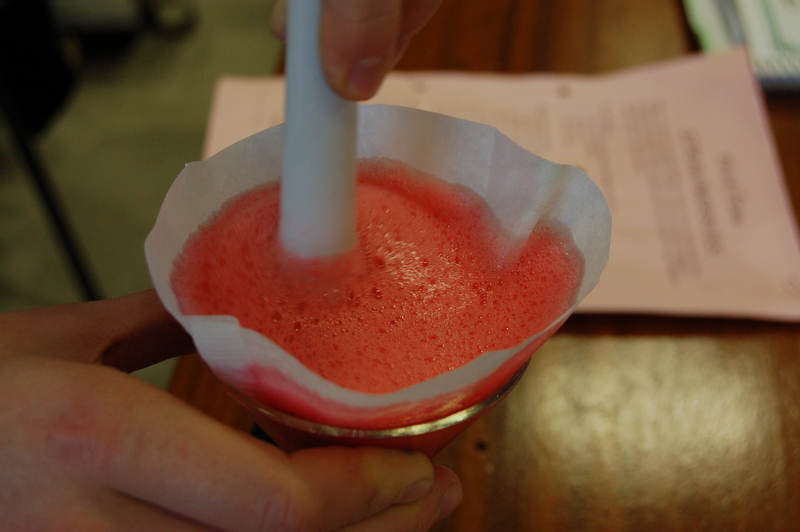 Start with the DNA extraction. It’s fun, it’s messy, you can throw in some interesting questions on why you need to use detergent, 60’C water baths, protease and ice cold ethanol, and they end up with great goopy snot-like dribbles of “DNA” – several 1000km of the stuff if you reckon on 1m per cell. Again, I should stress that if you want a higher percentage of real DNA, then onions or frozen peas are better, but given that we’re not going to sequence/amplify/carry out X-ray crystallography with the extracted material, I’m happy with my strawberries. The key learning point, apart from interpreting the extraction design, is that cells contains loads of this stuff, so it must have some really important function. Next lesson, it’s time to explore the structure. You could just tell them, of course, but why not get them to work out the structure for themselves? 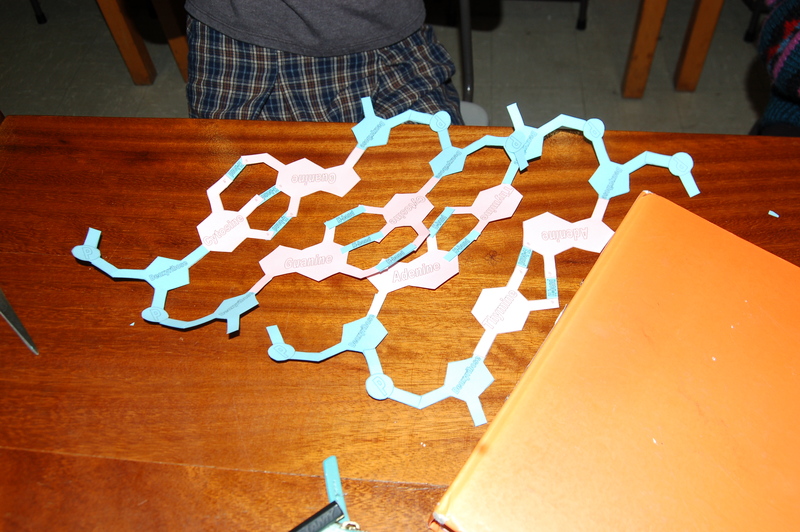 I do no more than tell them that nucleic acids are polymers of nucleotides, and sketch the structure of a simplified nucleotide for them. 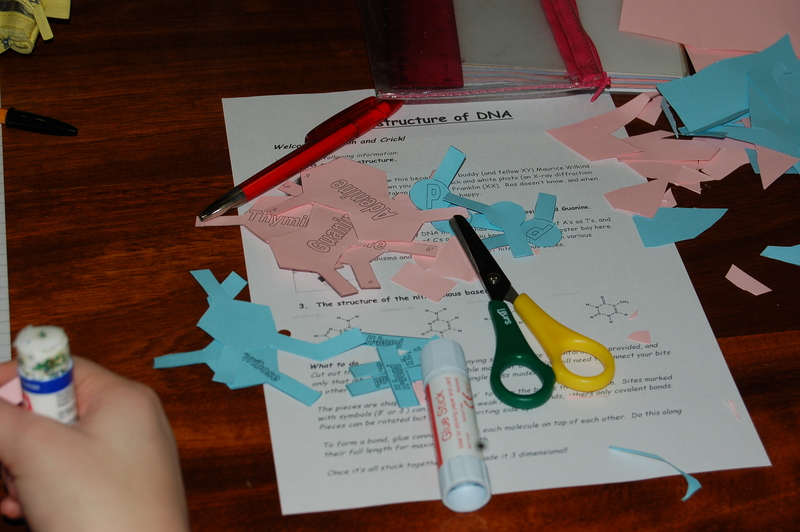 They then do exactly what Watson and Crick did – cut out card models and try to fit them together.DNA model instructions DNA model parts (tip: make sure your sugar/phosphates are on a different colour card to your organic bases). Again, I must cite my sources – this is another of Bill’s typically brilliant creations. What makes this wonderful to watch is that even if they can remember A-T and C-G from (i)GCSE, they can now see why it has to be that pairing – A to T to 2, C to G to 3 (say it out loud), is my tip for remembering the number of hydrogen bonds. …and I play them the clip from DNAi where Jim Watson recalls the moment when they saw it – the morning of February 28th, 1953. I tell them he got a Nobel prize for doing what they’ve just done – if you make your students feel brilliant, then they will do brilliant things. And so on. We hang our model from the ceiling and attempt to make it 3D and helical. It comes in very useful when explaining PCR to the Year 13s. In the next lesson, when I finally give them a simplified diagram to label, DNA basic structure the detail they recall and include is fantastic. Because they figured it all out for themselves while I made a coffee and fed the hamsters. 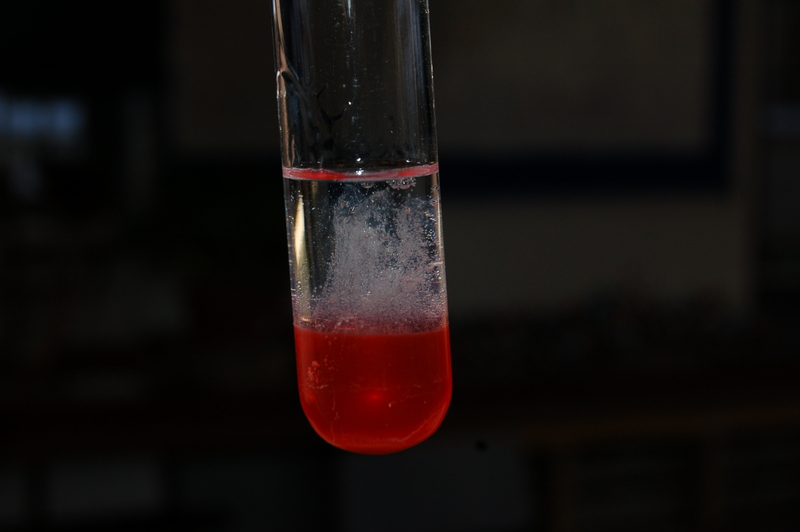 This entry was posted in Year 12 and tagged DNA, Genetics, learning by doing, strawberries, Watson and Crick on January 21, 2015 by paulweeks2014.